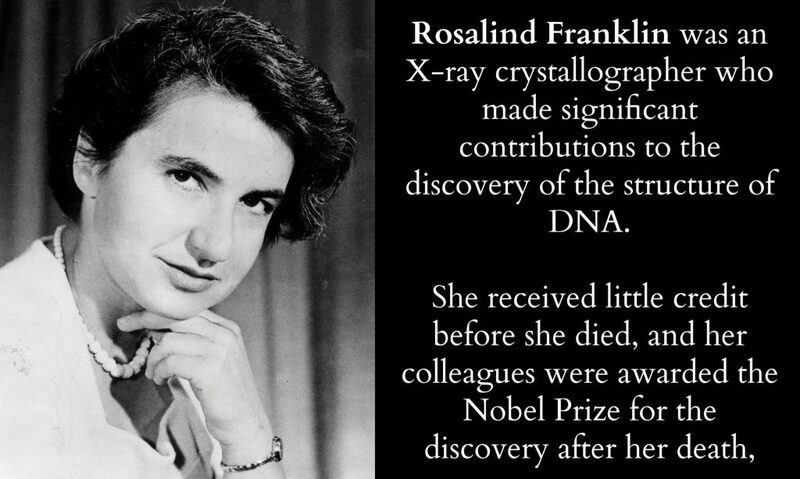 Well, fortunately things have changed since Rosalind’s Franklin’s day. A study at Cambridge University found women in science are not offered equal opportunities to present their research as their male counterparts. The voices of female scientists are being drowned out by their male counterparts. The research was carried out by Dr Heather Ford, a research fellow in Cambridge’s Department of Earth Sciences, and Petra Dekens from San Francisco State University prompted by attending so many conferences with a preponderance of male speakers and only one, if that, token woman. The team examined data from the world’s largest geoscience conference the American Geophysical Union (AGU) autumn meeting from 2014-2016 and found female scientists were offered fewer opportunities than men to present their research often because the majority were either students or in the early stages of their career. In most areas of life it’s no good being good if no one knows you’re good, but it is especially important in academia as speaking at conferences is linked with career opportunities and, crucially, funding for research. The report, published in Nature Communication, urges conference organisers to select more women and increase their diversity training. Hear, hear. You might also be interested to read this from Mary Beard, a great advocate for women’s voices being heard. I have a new role! I am the data protector or something. (Cue image of me standing tall in black leather brandishing a… what would I brandish? Answers on a postcard.) You will no doubt have had a plethora of emails telling you can unsubscribe from various mailing lists or asking you to read the updated privacy pages etc. I am no exception to this generally helpful piece of legislation. You will be getting something from me soon. Meanwhile, I have updated the privacy guidelines and will be reviewing and revising it. You have to double opt in to the newsletter, i.e. when you fill in your email address you still have to click a link to confirm, so no one should be able to add your details willy nilly. I never share them or sell them, and you can unsubscribe at any time. Although I would miss you, of course! RenewYou – Be quick for free coaching offer! We have filled a third of our places on RenewYou in June, which is great. Did my offer of a free coaching session help, I wonder? There is still time to get it it, but not long. It expires at the end of April. Read more about it here. 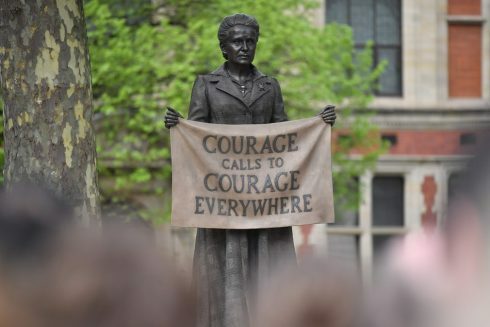 I can’t finish without mentioning the statue of Millicent Fawcett erected this week in Parliament square. Hooray for that and hooray to Caroline Criado-Perez. I interviewed Caroline way back and have followed her exploits ever since. I bathe in her reflected glory.Well done to her! You can read the interview here. Courtesy of The Guardian newspaper, click picture to see more on their site.